Wendell Pierce, New Orleans Native, superstar actor has signed on to play Master P grandfather in “The King of The South” bio film. Wendell Pierece has an amazing resume starting in THE WIRE, MALCOM X, SELMA, and RAY just to name a few. 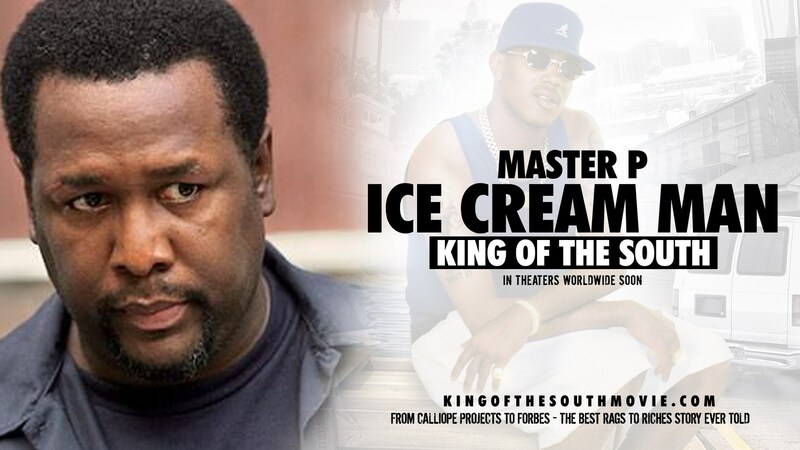 With the addition of Wendell Piece and Queen Latifah “King of The South” fans are excited for the new Master P bio film. Moviegoers are on the Internet praising the theatrical release of the most influential hip hop business pioneer. #KOSMOVIE is highly anticipated, a new trending topic on Twitter and Facebook. Fans will be in for a real treat, as this rags to riches Master P real life story, the true definition to the American dream, written by top Hollywood writers Parde Bridget, Wayne Conley and Percy Miller. The recreation of young Percy Miller’s life and the rise of the Ice Cream Man, No Limit empire, how one man with his last $500, turn down a million dollar record contract to go on to sell over 75 million records on his own independent label.Unlike other artists, Master P owned the masters of his music, he created grass-root marketing techniques in selling his product, becoming a marketing genius. Even though he was raised in the murder capital, Calliope Projects of New Orleans, Louisiana, not only did he have street smarts but he had book smarts, he studied business at the University of Houston. He opened a mom and pop record store where he became an expert on the marketing and retail perspective. He later turned his No Limit record store into No Limit Records, the label. At a time when the music industry was run by corporate White America, Master P broke the color barrier by showing the industry that a Black man could be more than just an entertainer. While most artists were looking for record deals, the Ice Cream Man was creating his own avenue in the hip hop world by negotiating an unpresedented distribution deal where he was able to sign other artists and build other business entities, all while being one of the top hip hop artists in the world. Master P proved that with determination and perseverance, you could be successful without changing who you are. While most music company presidents and ceos dressed up in suit and ties, Master P‘s attire was made up of baseball caps and sneakers, but his business sense and ability to negotiate deals made him comparable to some of the elite Wall Street executives.